Date: Wednesday, 15th April 1970. Competition: European Cup Semi-Final Second Leg. 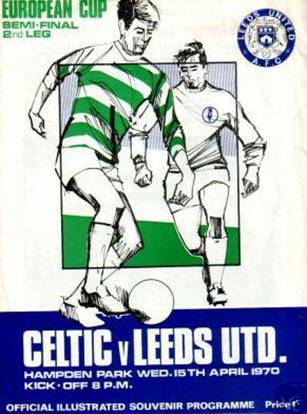 Score: Glasgow Celtic 2 Leeds United 1. Scorers: Glasgow Celtic: Hughes, Murdoch. Leeds United: Bremner. 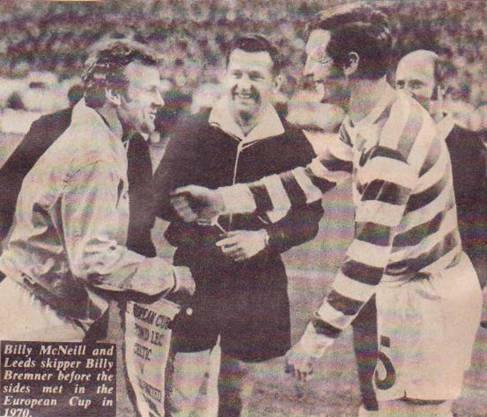 Glasgow Celtic: Williams; Hay, Gemmell; Murdoch, McNeill, Brogan; Johnstone, Connelly, Hughes, Auld, Lennox. 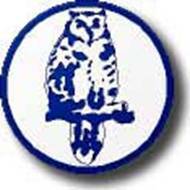 Leeds United: Sprake (Harvey); Madeley, Cooper; Bremner, Charlton, Hunter; Lorimer (Bates), Clarke, Jones, Giles, Gray. Referee: Gerhard Schulenberg (West Germany). 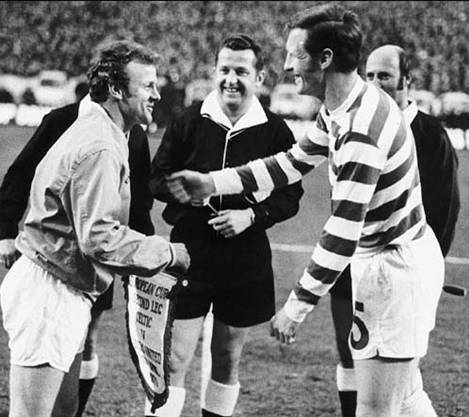 It seemed that the whole of Scotland wanted to see Celtic sweep aside the English champions in the European Cup semi-final return in Glasgow. To cater for the tremendous demand for tickets the tie was switched from Parkhead (Celtic Park) and almost 136,000 fans crammed into Hampden Park to make it the biggest attendance of any European Cup-tie. 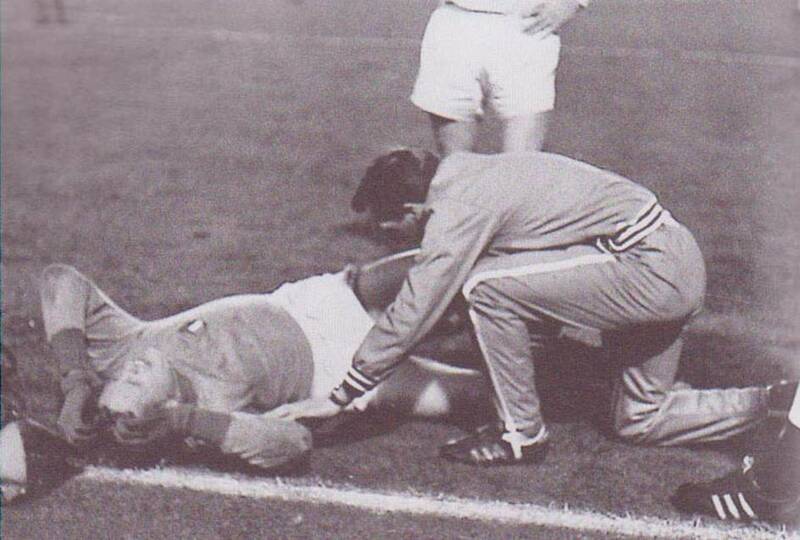 Unfortunately for Leeds Paul Reaney had broken his leg in a League game at West Ham United the day after the first leg at Elland Road and Paul Madeley deputised in an otherwise full strength Leeds team which welcomed Norman Hunter back after injury. United had every reason to feel fatigued as they went into the game having played three FA Cup Semi-Finals, a FA Cup Final, an European Cup quarter-final, an European Cup Semi-Final, and five league games in the previous month, but despite all that the FA had fined them £5,000 for fielding an understrength team at Derby. Leeds were indeed the victims of the FA’s insistence that the season should be finished early due to the World Cup in Mexico and their failure to achieve at least one of possible the treble could be put down to that. After withstanding an early barrage of Celtic attacks, United hit back to silence the massive crowd. With fourteen minutes gone, Norman Hunter received a throw in from the right and rolled the ball forward to Billy Bremner, who unleashed a fierce right-foot shot, which flew past Evan Williams, to give United renewed hope and had them thinking that victory was a possibility. 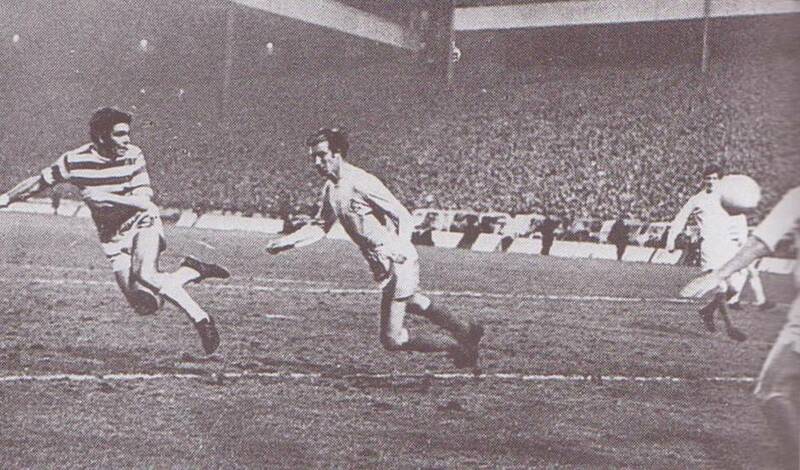 The goal clearly angered the Scots and they stormed frantically back into the attack, Paul Madeley and Terry Cooper making desperate clearances to keep the rampant Celtic at bay. 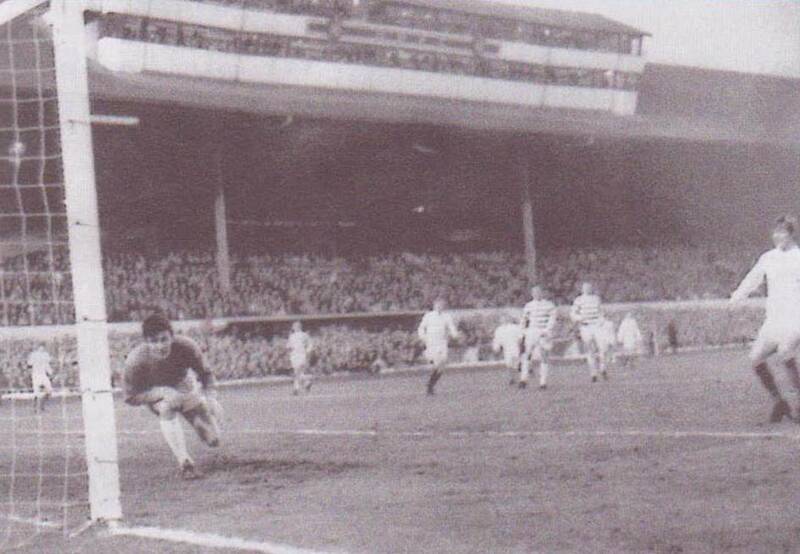 The inevitable goal came two minutes after half-time when John Hughes flung himself at Bertie Auld’s corner and flicked the ball beyond the reach of Gary Sprake. United’s hopes evaporated in the white-hot atmosphere when the heroic Sprake was carried off after a collision with Hughes. The first time replacement David Harvey touched the ball was to pick it out of the net. Jimmy Johnstone, turning on his breathtaking skills, fed Bobby Murdoch, whose fifteen yard shot flashed past Harvey to seal Celtic’s victory and wrap up a 3-1 aggregate score. Celtic went on to lose 2-1 to Dutch masters Feyenoord in the final, while Leeds had a little unresolved business with Chelsea before they could finally pull off their boots and put their feet up.